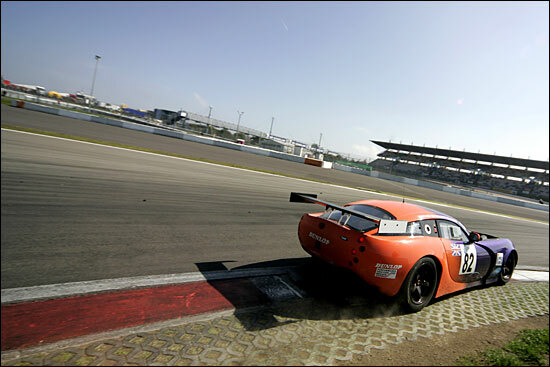 There was a sense of the inevitable about the team’s weekend in Germany, for the fourth of the season’s five LMES races. By the end of the meeting – in fact, before the end of the race – Lawrence Tomlinson, Alan Mugglestone and Rod Farrell were eagerly anticipating the team’s next challenge. In effect, 2006 will begin at Istanbul in November, for the final race of the second year of the LMES. 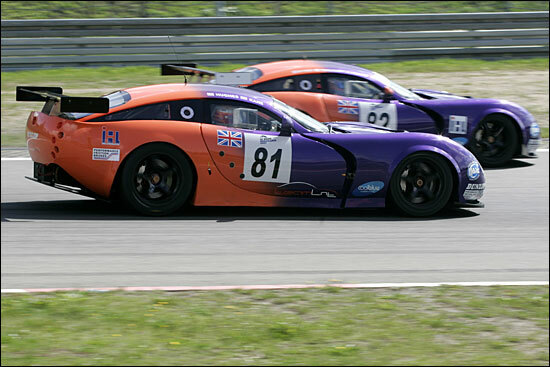 Apart from the opening round at Spa in April, the series hasn’t been kind to the two colourful TVRs. That stunning 1-2, in the fog, was followed by engine dramas at Monza and Silverstone – but at least Round 4 wasn't a repeat of two and three. In fact, there was much to be optimistic about, by the end of qualifying early on Saturday afternoon. Jonny Kane had qualified the #81 car (partnering Warren Hughes, as usual) and Marc Hynes the #82 (with Lawrence Tomlinson and Pat Pearce). The two cars had set the fifth and seventh best times in the sunny sessions on Friday, and more good weather arrived on Saturday (and Sunday). 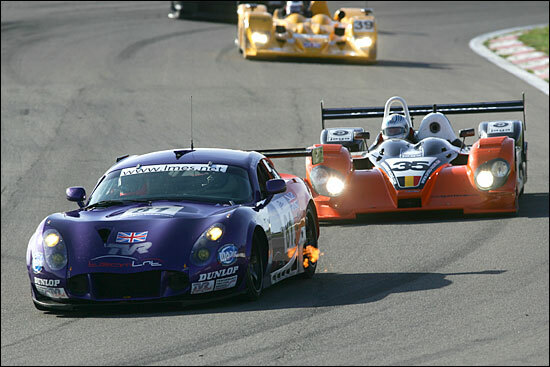 Although the TVRs weren’t right on the pace of the two, very quick Ferraris (from GPC and Scuderia Ecosse), all five drivers had been banging in well-matched times. Fifth and seventh on Friday became superb third and fourth in qualifying, Kane marginally quicker than Hynes. 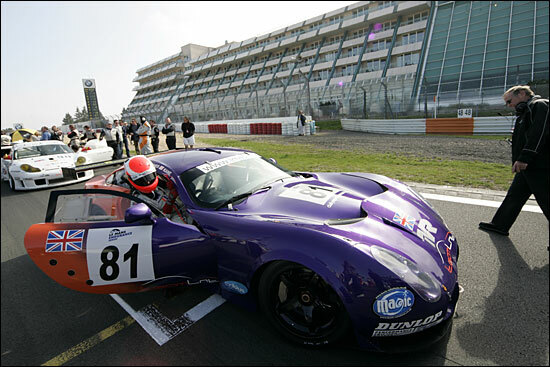 Only the two Ferraris were faster – but by some margin (approximately 2.0 and 1.7 seconds). But the two Italian cars had each had their dramas this year (and would do so again in the race) – so perhaps the significant fact was that the two TVRs were faster than all of the Porsches. Best of the 911s was the Sebah car of Lieb and Pompidou, the car that had won the other two races this year. Now if the TVRs were faster than the white Porsche, and if one of the T400Rs had a perfect run in the 1000 kilomter race…. #81 was using the same engine that had run for three and a half hours at Silverstone, so all that drama seems to be a thing of the past, at last. Marc Hynes’ performance – best lap just over a tenth slower than #81 – was all the more remarkable because he drove through the session with the fire extinguisher spraying fluid at his feet! Slippery pedals? No problem… or none that we know of. Just keeping the car on the track must have been a challenge. So Babini and Kirkaldy ahead on the grid, but the two marvellously-liveried TVRs lined up behind them. Kane and Pearce to start – and they were prepared to give it everything during the opening stints. Marc Lieb split them on the opening lap, and with the second tour behind the Safety Car, that’s how it stayed until lap four, when Lieb got past Jonny Kane, for third in class. Fourth and fifth at this stage was fine though. Except that the two Ferraris had raced off into the distance. An hour into the race it was the two Ferraris, by now 45 seconds ahead of Lieb, then Jonny Kane (-18 seconds), the Italian Porsche, Palttala in a Belgian Porsche, then Pat Pearce, almost right on his tail. 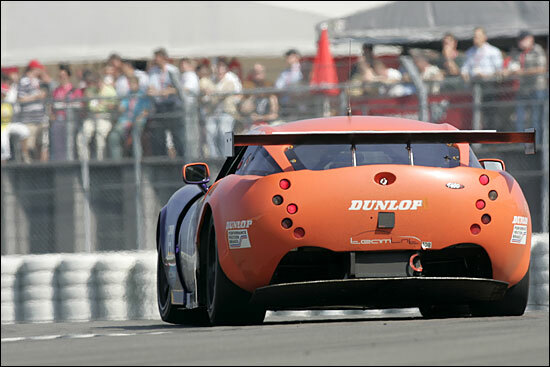 When you’re short of downforce, you can’t afford to lose some of what you’ve got. Sadly, the first pit stop was just about ‘time’ for #82. The differential failed after 32 laps, race over - Marc Hynes having barely got going. “I finished my stint and handed the car over to Marc, but then the differential blew itself to pieces just after he had taken over,” explained Pat Pearce. No doubt those impacts contributed to the failure. 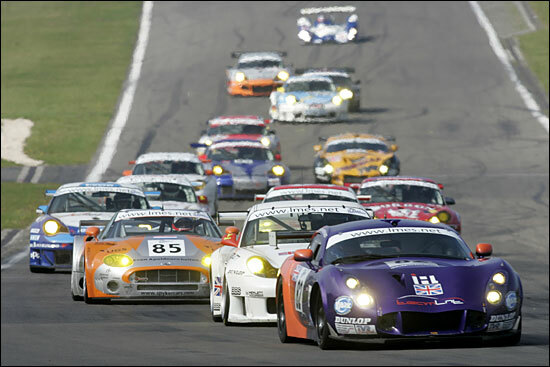 Things were looking good for #81 though, Jonny Kane rushing along in third place, after all the GT2s had stopped once. The Scuderia Ecosse Ferrari had trouble restarting, the Autorlando Porsche had a slower driver at the wheel, so the only cars ahead were the GPC Ferrari and that ever-present #90 Porsche. That’s how it stayed through the two hour mark, the Ferrari 80 seconds ahead, the Porsche about a minute. Kane was briefly second when the Porsche made its second stop before the TVR, then third again after the stops unravelled. 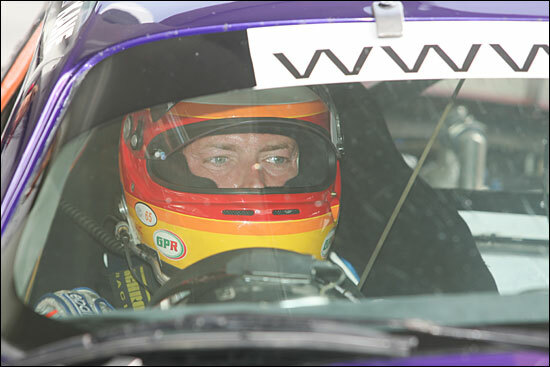 Warren Hughes was into the car by now, but he pitted after just ten laps. “That cost us two laps, with a gear selection problem,” explained the ever-helpful Farrell. 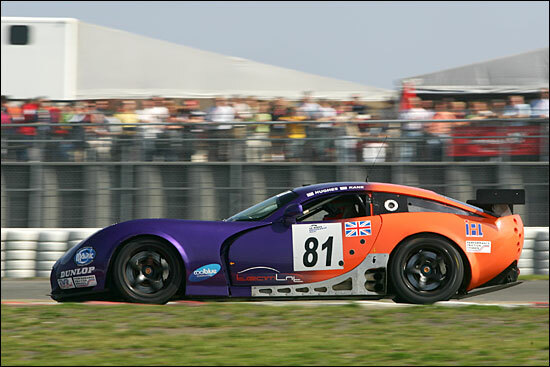 But the gallant TVR didn’t complete the fourth hour. Broken front suspension after 104 laps meant game over. “It’s fantastic to be running these TVRs (pause), for the last time,” summed up race engineer Alan Mugglestone. 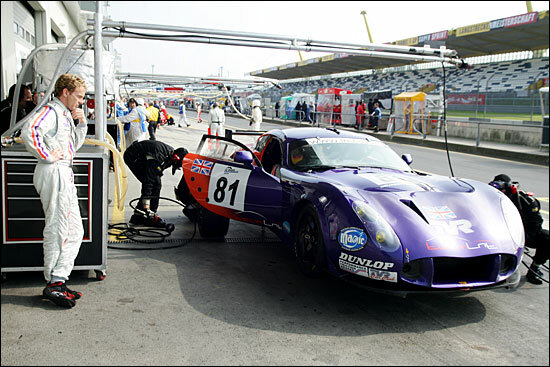 Next time out, at Istanbul in November, Team LNT should be running a pair of Panoz Esperantes.